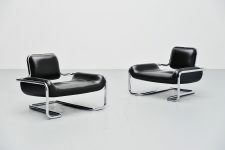 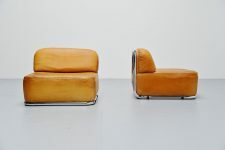 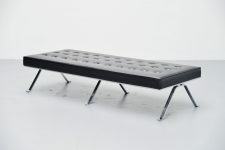 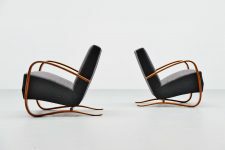 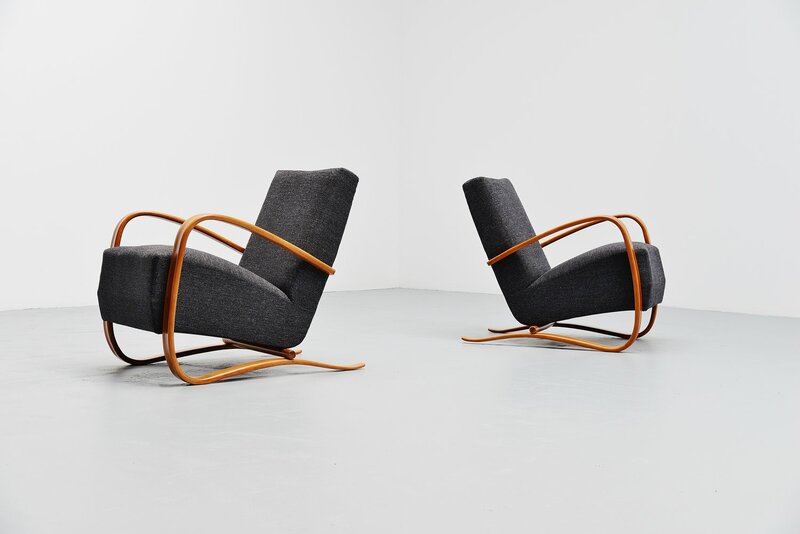 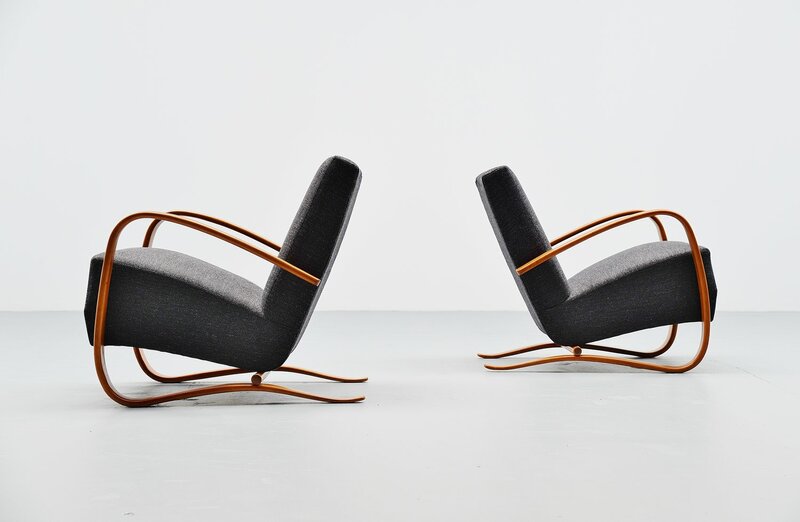 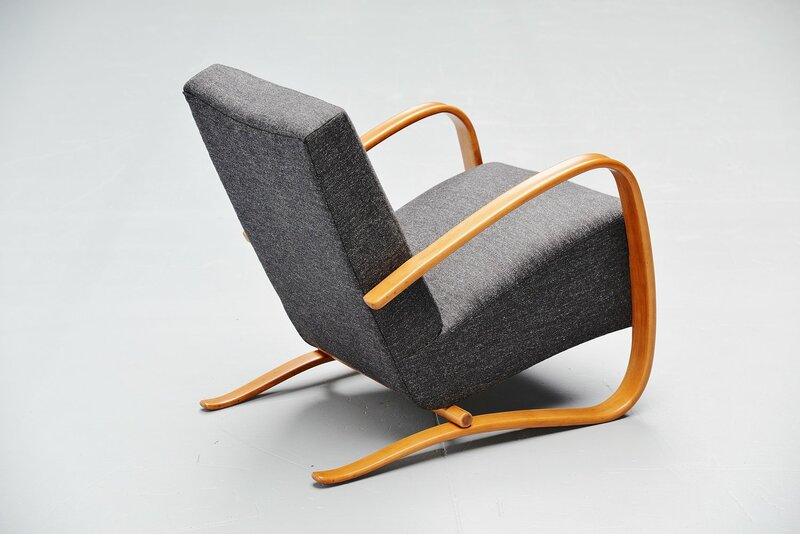 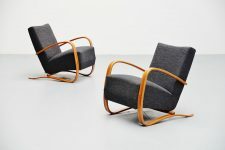 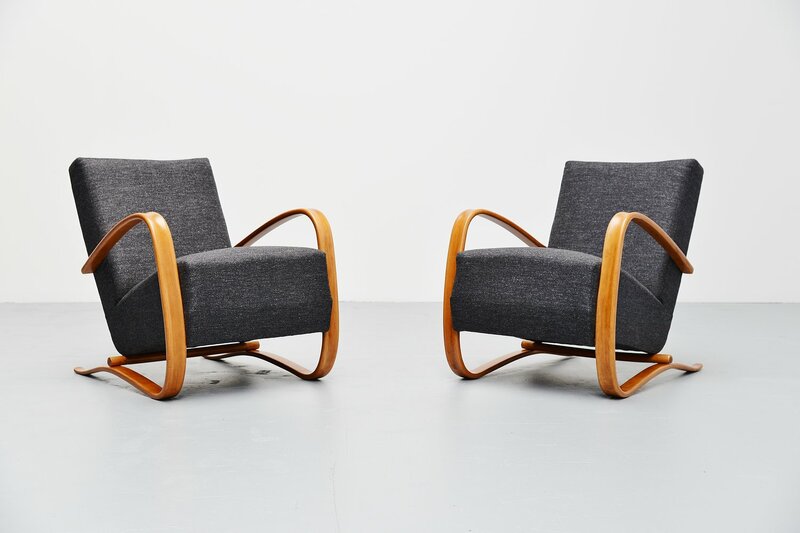 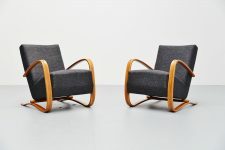 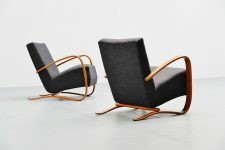 Stunning pair of Art Deco lounge chairs model H-269 designed by Jindrich Halabala, Czech Republic 1930. 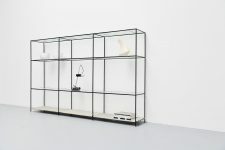 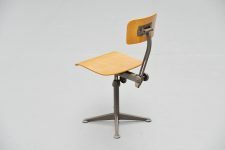 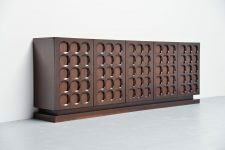 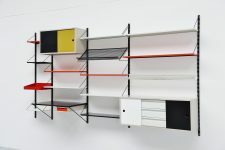 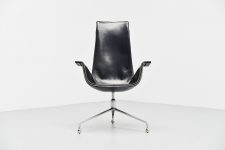 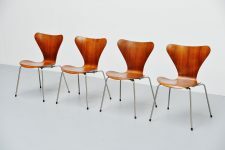 These chairs were very progressive the the time with forms and shapes that were totally new. 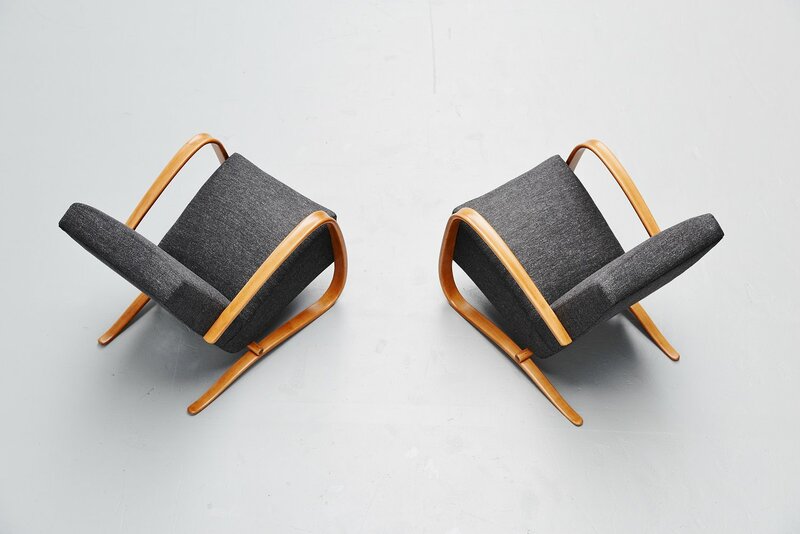 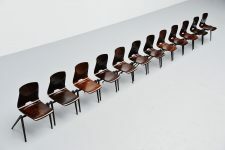 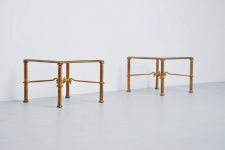 These chairs have birch wooden bent arms that support the seating in an ingenious way. 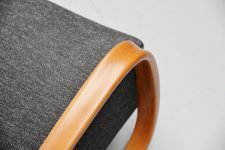 The seats are fully restored with preservation of the authenticity, we kept the springs in the seat cause that is how they were originally designed and gives extra comfort to the seating. 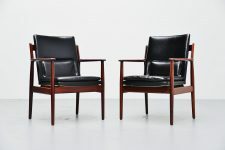 Fantastic pair of chairs in excellent condition.